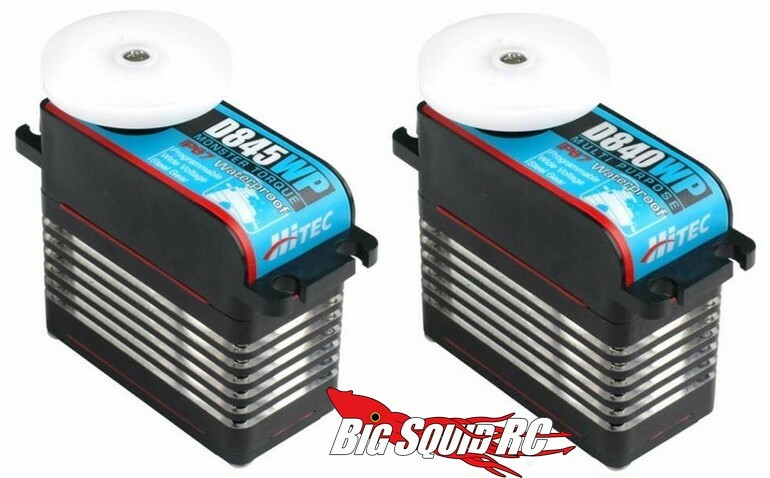 New Waterproof Servos from Hitec « Big Squid RC – RC Car and Truck News, Reviews, Videos, and More! The good folks over at Hitec have announced a pair of high-end Waterproof Servos. These are part of their new D-Series, which uses state of the art technology for the ultimate in smooth movement and flexible programming. The new D-840WP has a speed of 0.11 sec/60º and a torque rating of 417 oz-in at 7.4 volts. The D-845WP is rated for 0.17 sec/60º and a whopping 694 oz-in at 7.4 volts. Prices have not been announced, but you can hit up This Link over on Hitec’s website for more specs and features. Want more Hitec news? Hit This Link to get more on BigSquidRC.